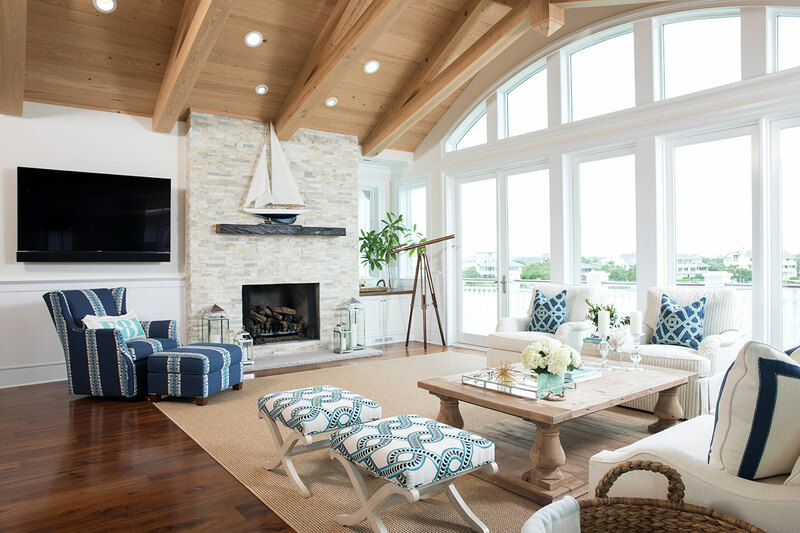 This waterfront home was designed as a place the client’s growing family could all gather and spend time together. 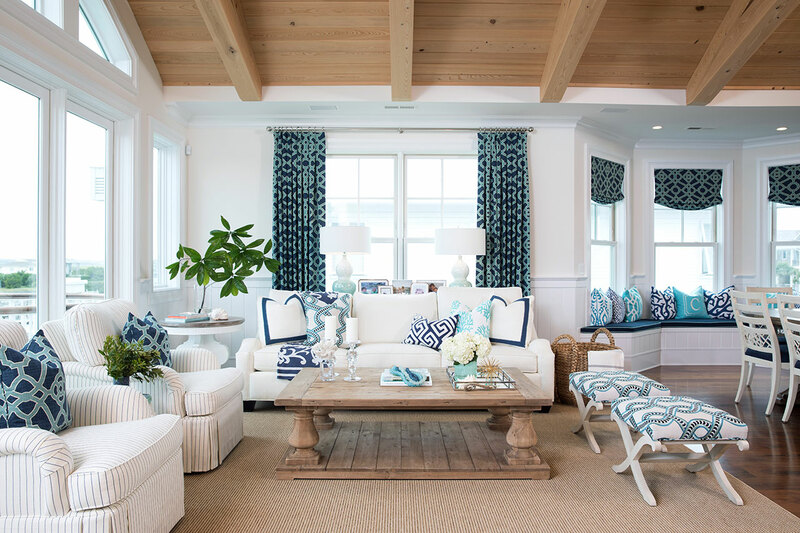 They had a love of several different types of wood, which Amy incorporated while keeping a coastal feel. 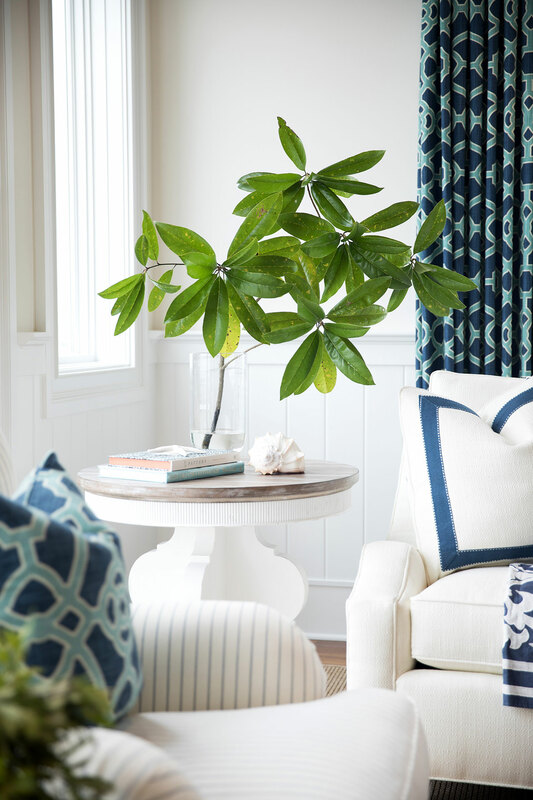 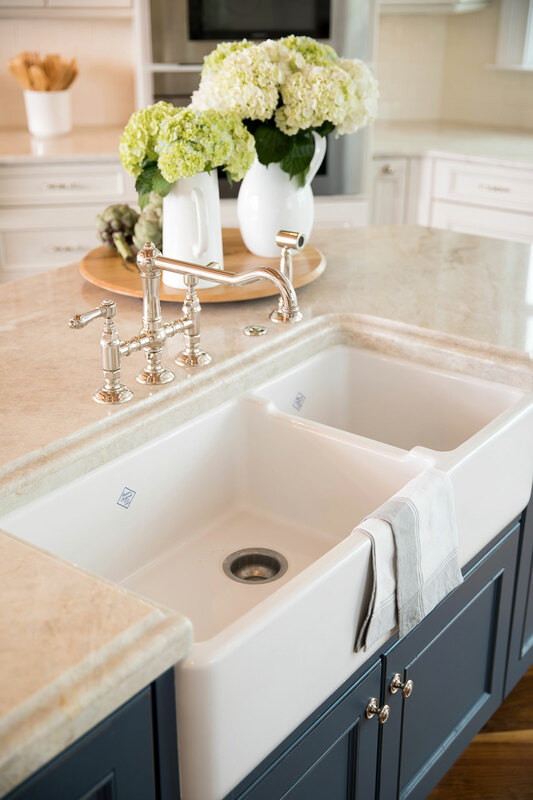 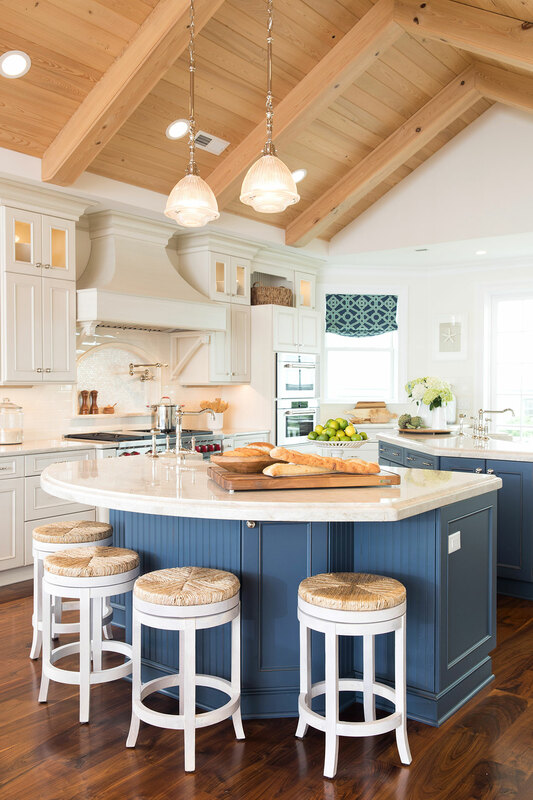 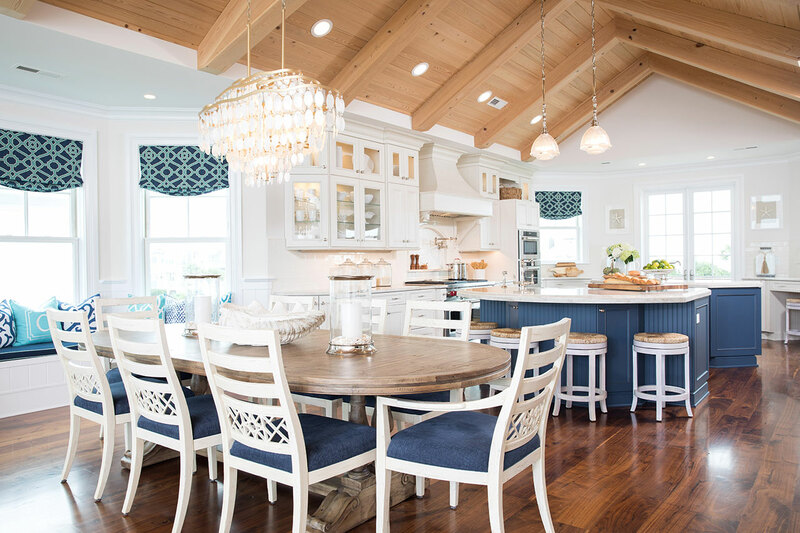 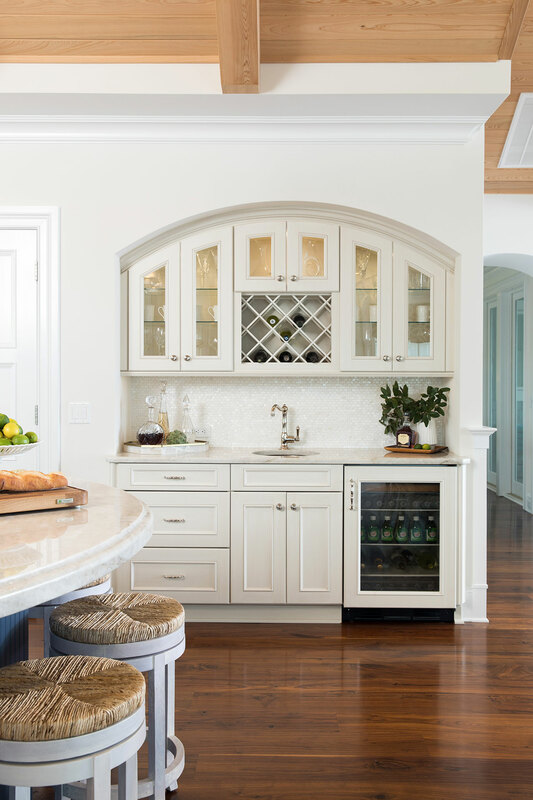 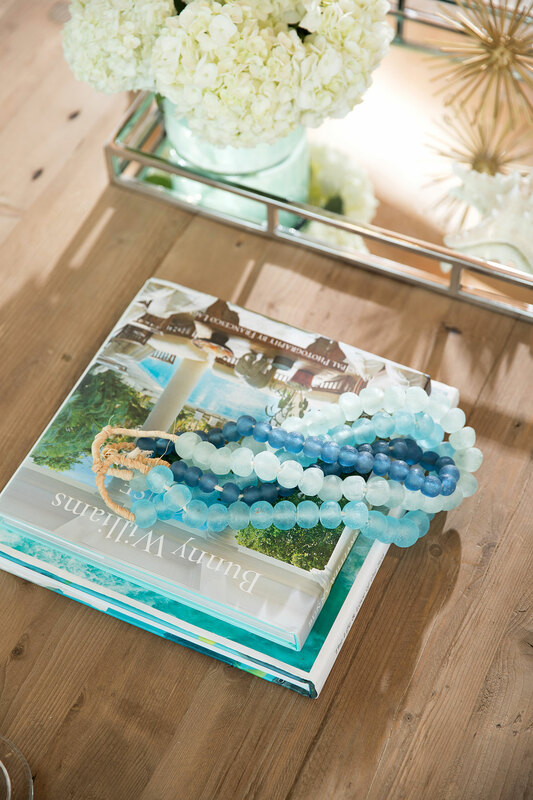 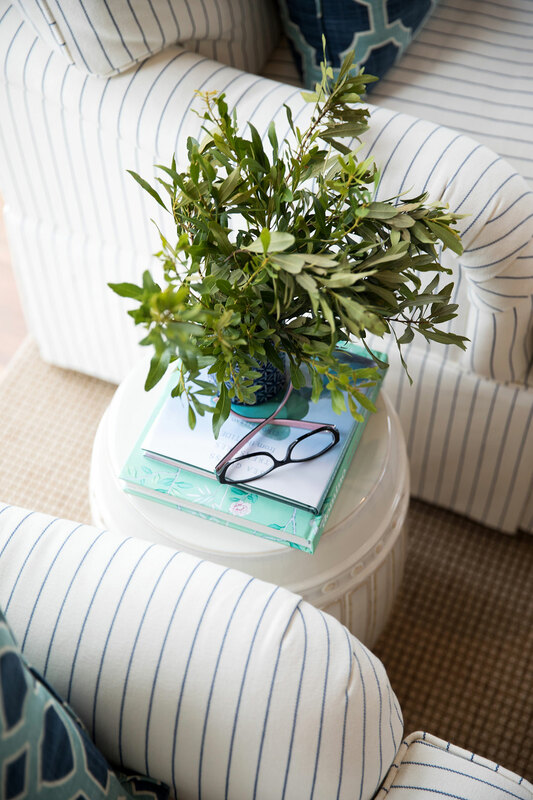 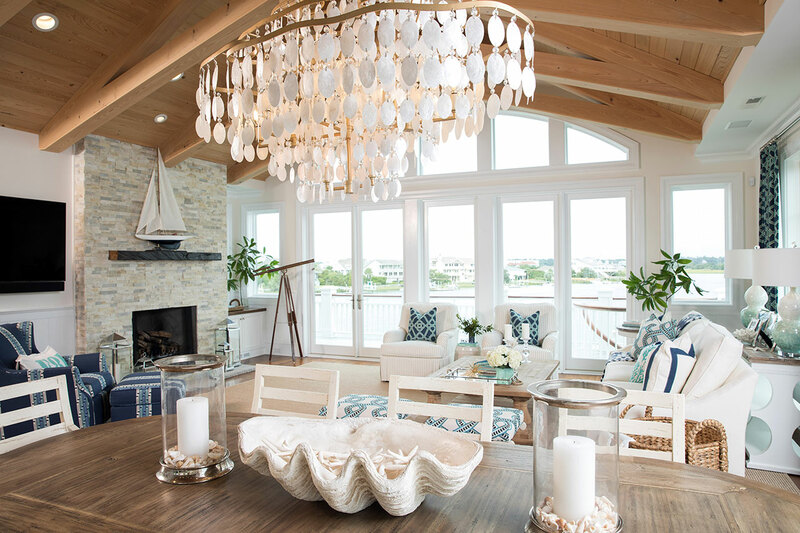 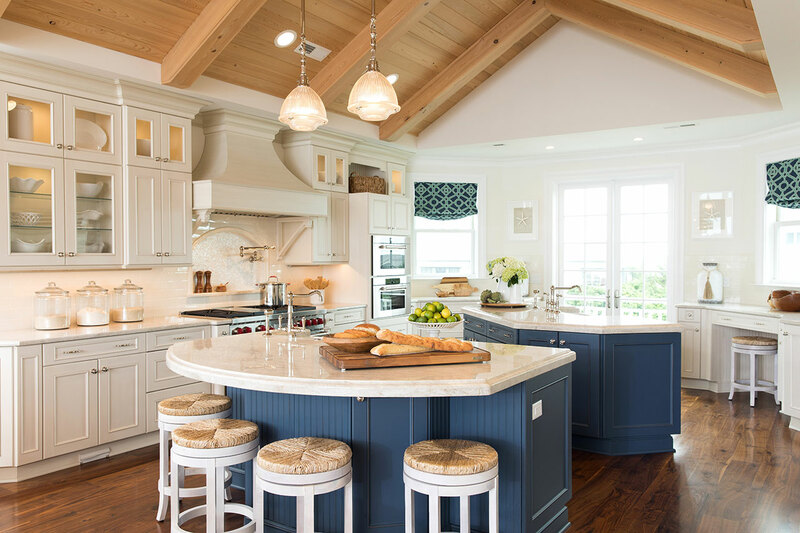 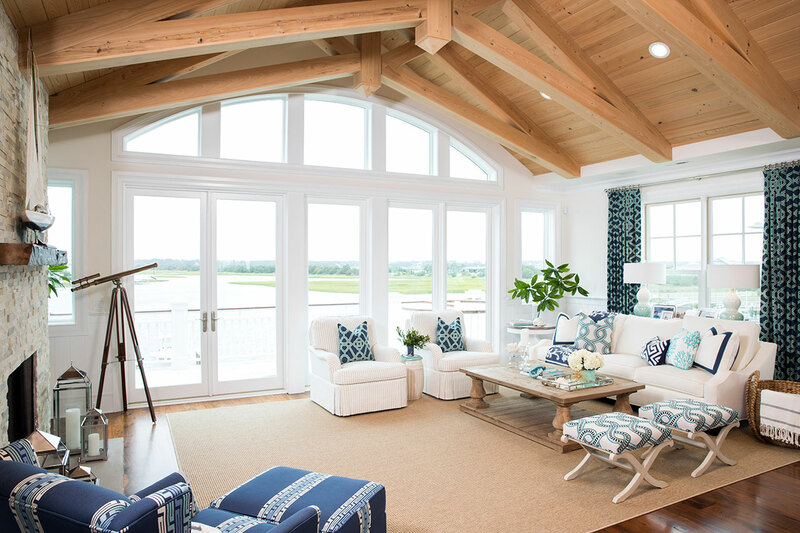 Amy named this home “Elegant Coastal” after several meetings with the clients as a guiding mission throughout the design process. 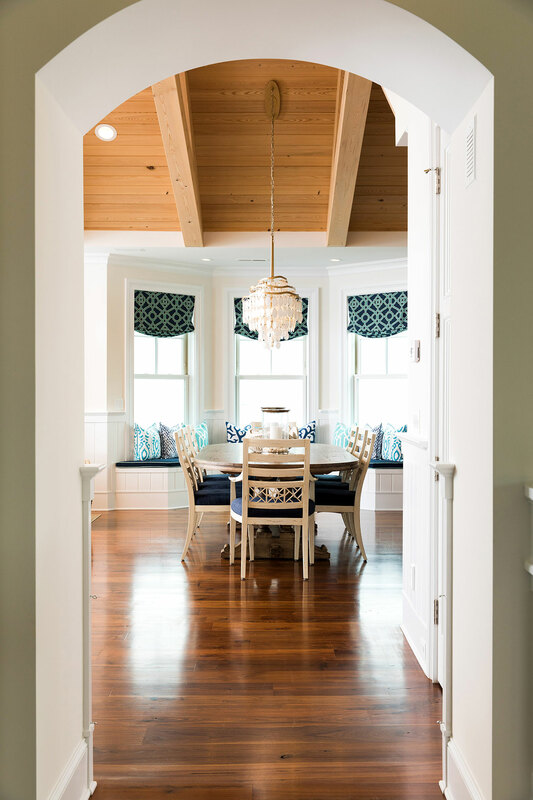 The views and creating spaces for togetherness were big priorities throughout the project. 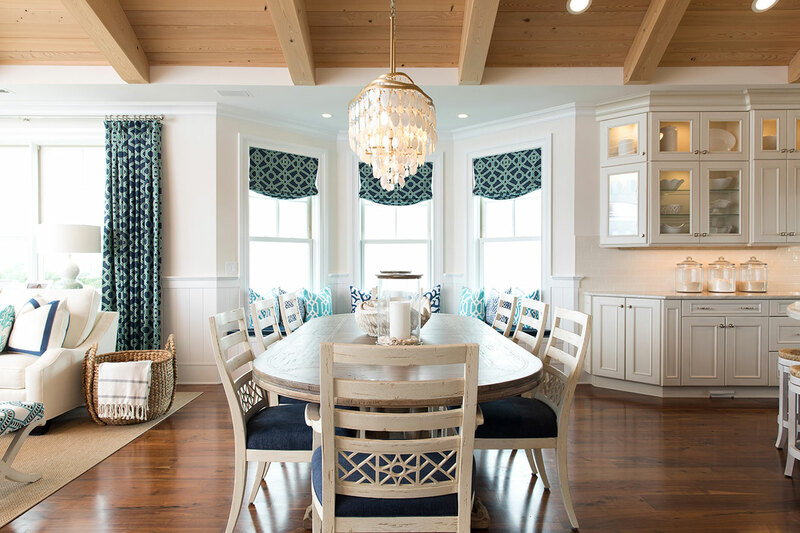 The living room, dining room and kitchen are all open to each other to accommodate their large family. 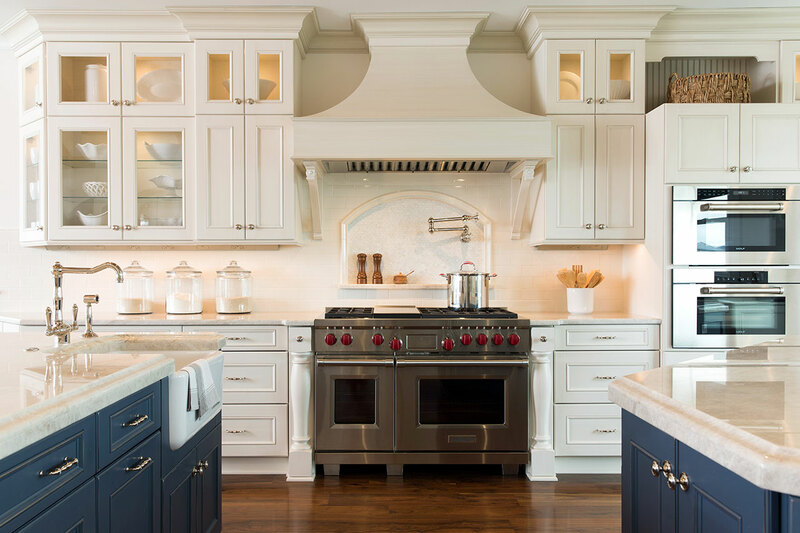 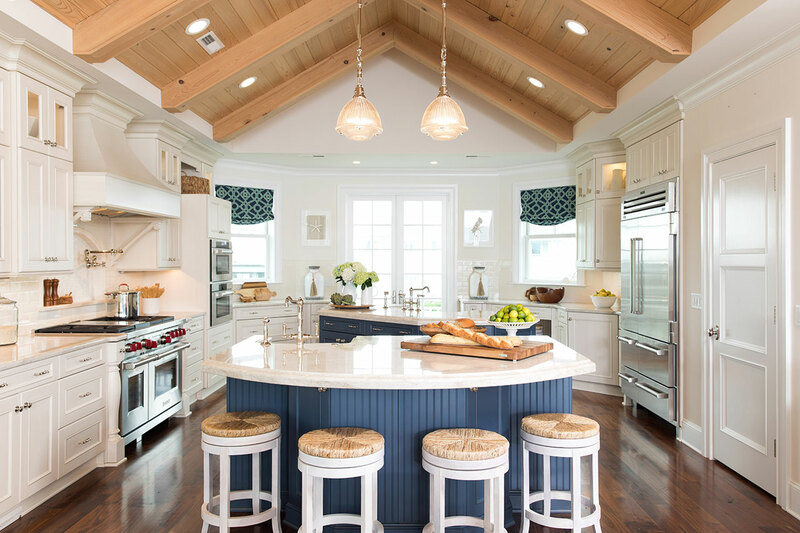 The kitchen can handle several chefs and even more tiny helpers with its large double islands. 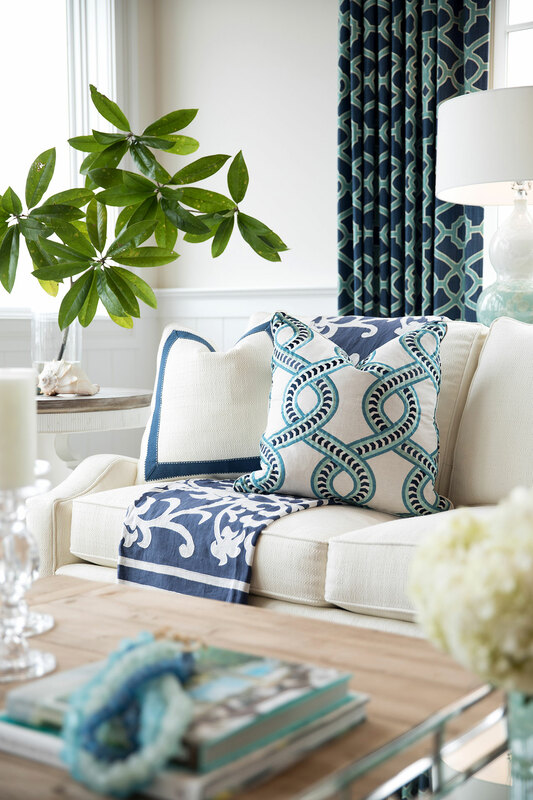 Crypton and Sunbrella fabrics were used for worry-free upholstery. 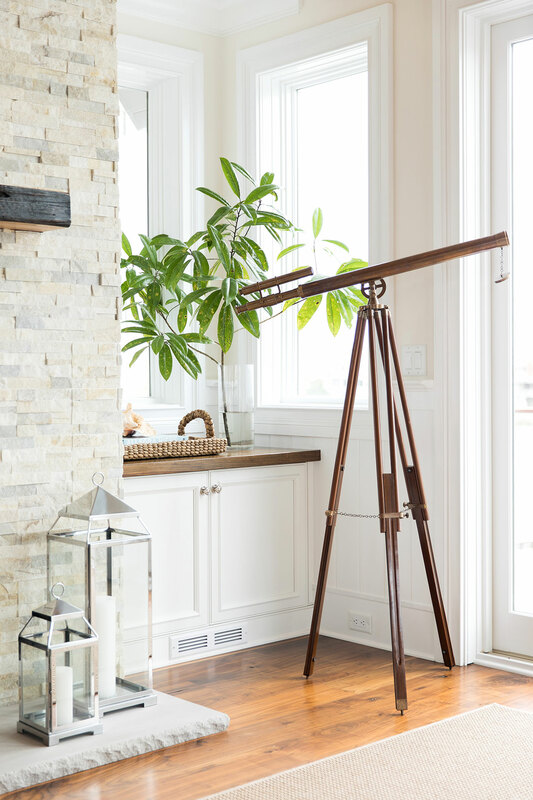 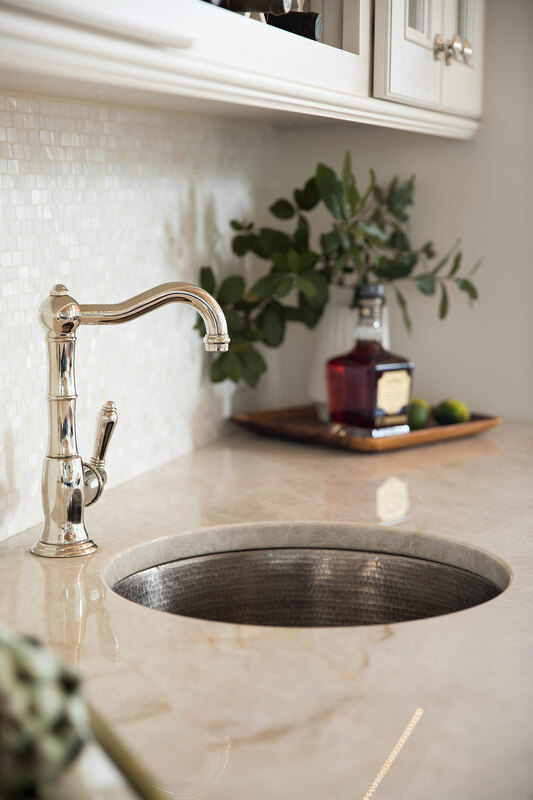 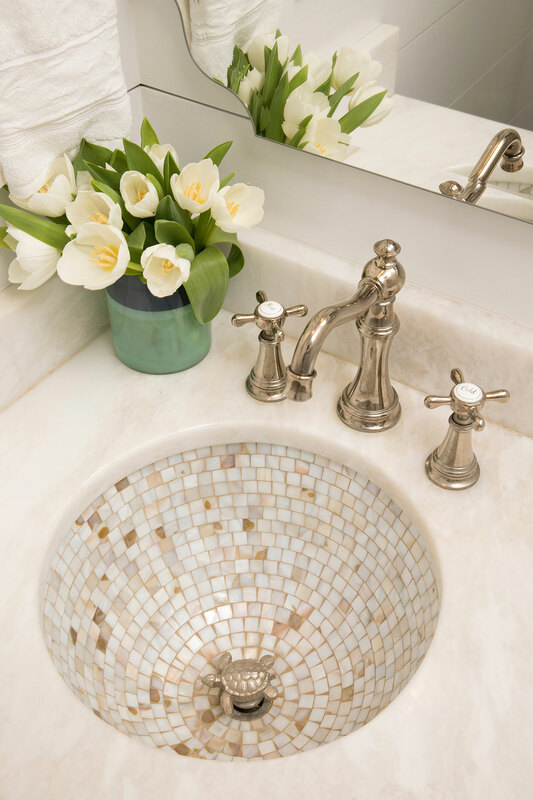 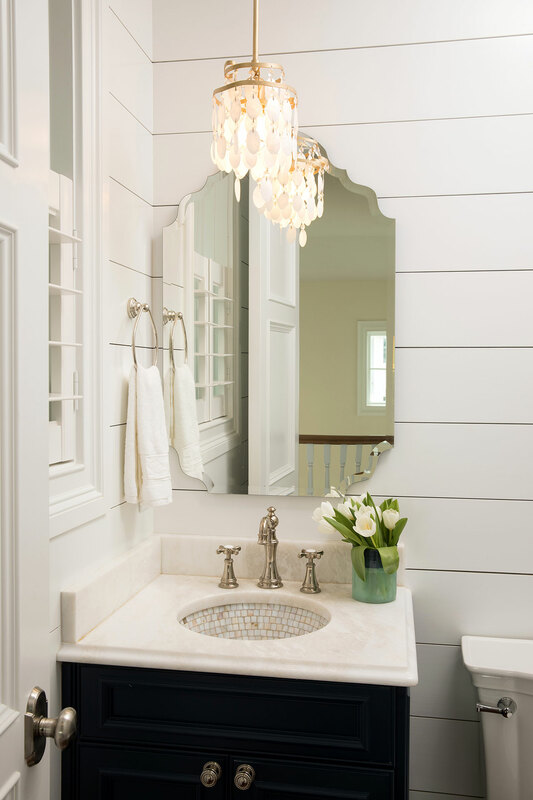 Quartzite, mother of pearl, walnut, cypress, tongue and groove wainscoting and polished nickel finishes give the space an elegant, textural feel.